Throughout Alfa’s glory years of the ’20s and ’30s, there was little else for the company to focus on but building the fastest cars they could. Racing success, which Alfa’s record of was rivaled perhaps only by Bugatti, proved to be quite a powerful marketing tool, their incredible achievements in Grand Prix and endurance events all over the world ensuring a steady supply of wealthy enthusiast customers. 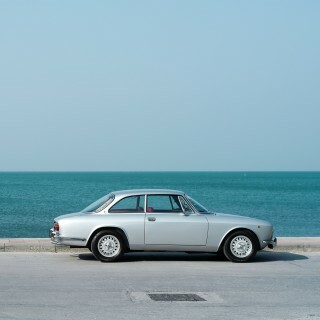 These were the glory days of the carrozzeria, who penned beautiful, exotic and bespoke coachbuilt bodies for 6Cs and 8Cs of all variations, body configurations varying from stripped-back GP and Mille Miglia racers to luxurious, fully-enclosed coupes and sedans. Post war, however, the era of coachbuilding was coming to an end—the methods and technology behind industrial manufacturing made leaps and bounds during WWII, largely rendering the old-world, hand-crafted way of building cars and their bodies obsolete. 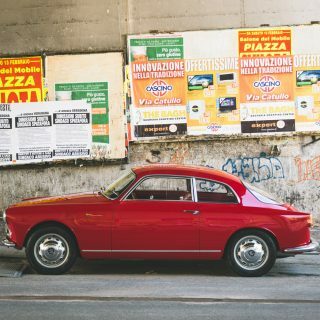 Alfa of the 1950s was a decidedly different company than pre-war Alfa, their government controllers deciding more durable, lower-market, mass-produced cars to be the best way forward in an austere post-war European market. 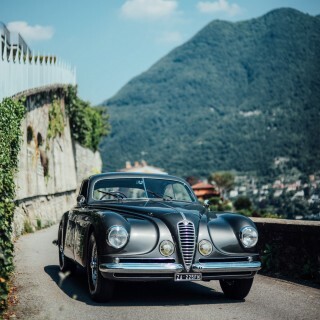 Fortunately, a cheaper Alfa didn’t mean a soulless Alfa—the company retained its engineering-led approach and continued to build cars well-suited to competition, even as 1951 saw the official end to the factory’s works racing efforts. Rather than shutter the department, Alfa instead charged them with experimental chassis and engine development. In 1952, this new department, in conjunction with Touring, bore its first fruit, the stunning Disco Volante (literally “Flying Saucer”) . Partly conceived in an effort to maintain the company’s glamorous and exclusive pre-war image, the Disco Volante was the first of a series of beautiful and outlandish Alfa concepts, culminating in the Bertone-penned BAT 5, 7 & 9. Built upon modified 1900 mechanicals, there were two liter four cylinder versions (the 1900 C52) as well as some fitted with three liter sixes (called 6C 3000CM’s). Both featured Superleggera construction and were built in spider and coupe form. 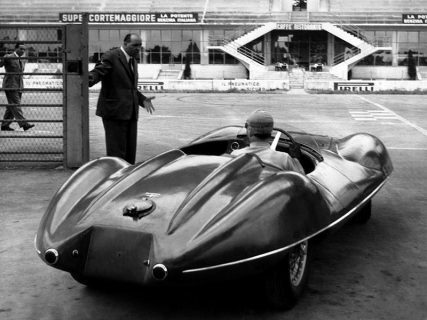 In 1953 Juan Manuel Fangio drove a special 3.6 liter coupe to second place behind a 4.1 liter Ferrari at LeMans. 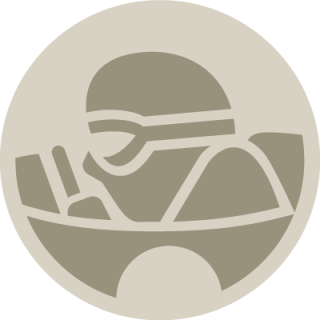 The Disco’s only other noteworthy racing success came at the 1953 Supercortemaggiore, in which Fangio piloted a three liter spider to an outright win. 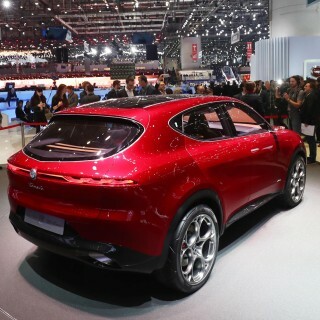 Unveiled this year at Geneva is the production-ready version of Touring’s 2012 Nuevo Disco concept, a gorgeous homage to the original featuring thoroughly modern 8C underpinnings. This new version is said to require in excess of 4,000 man hours of hand-finishing per example, evidence that high-end coachworking is still alive and well within the storied walls of Touring’s Milanese headquarters. 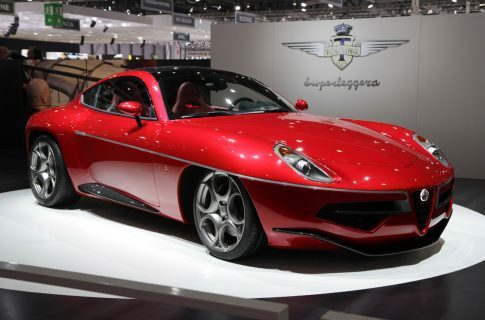 Such bespoke quality and exclusivity likely mean the newest Disco Volante will become a legend in its own right. 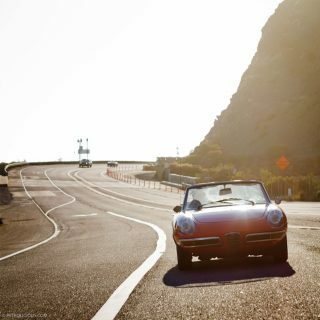 Click here to check out photos of the 2012 Disco Volante on our Canadian auto enthusiast friends’ photo gallery. 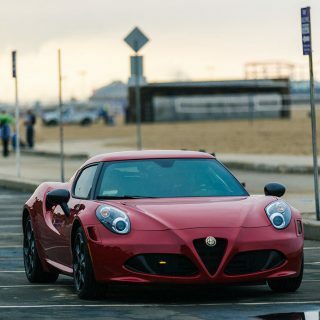 Featured Is the 4C Worthy of the Alfa Romeo Badge? The vintage version is definitely more beautiful.